From Star Trek to Pokemon, from the MCU to Lord of the Rings, if geeks love it, then we want to talk about it! 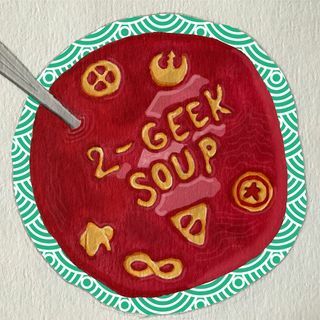 Join us on Two Geek Soup for a hearty helping of conversations about the stuff your mom thought (or hoped) was just a phase. Ep. 33 "It's wonderfully, perfectly horrible"
Ep. 28 "My tinfoil hat is not as pointy as yours"
Ep. 27 "Thirty percent nonsense"